I like when my crafts are not only beautiful but also useful. This pattern is great as it gives you a lots of possibilities to use it! You can hold small items inside these small bowls, you can use it as a table decor and put a candle inside or a bowl with an appetizer. In red, white and green it will be also a part of Christmas decorations. 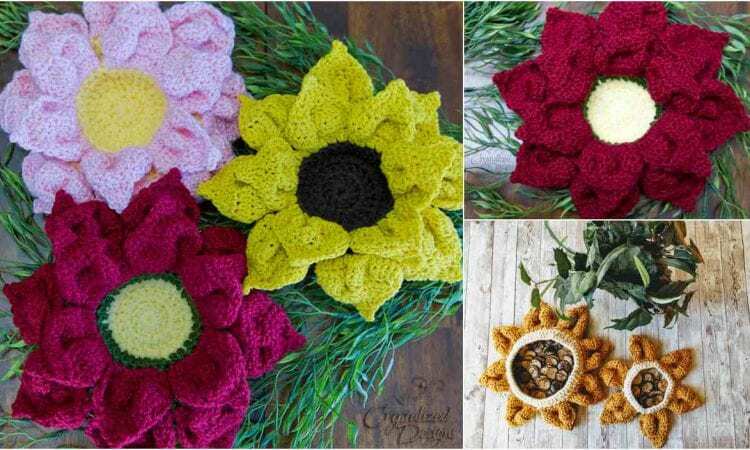 It’s an easy and quick pattern which will be perfect for a gift as well. Link to a free pattern is below. More info about 2nd project here. Can these be used for microwave warming?